It was a good weekend for the Salmon Arm Silverbacks. Heading into the home and home with the West Kelowna Warriors, Salmon Arm was four points behind with a game in hand. Thanks to a pair of wins, the two are now tied and Salmon Arm has the current tie breaker thanks to having played one fewer game. 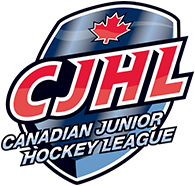 Saturday night the team beat West Kelowna despite trailing 3-0 after 23 minutes of play. Salmon Arm would score twice in the second period, and four in the third including a pair of empty netters. Missing eight players for the Silverbacks made the victory that much more impressive. In the last seven games, Coquitlam has just one win to their name. On a four game losing streak, the Express had their last win on January 23rd against the Chilliwack Chiefs. Playing on Saturday in Langley kicked off a stretch for Coquitlam that sees them play seven of the final nine games on the road. The Express don’t have anyone in the Top 22 for league scoring, but have ten players who have 30 points or more. The team is fourth overall in goals for this season. Both teams have played once before this season with Coquitlam coming out on top 3-1. 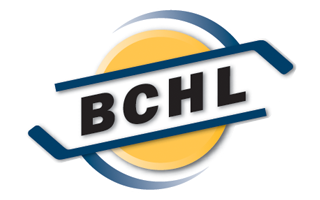 It was a busy stretch for both teams as Salmon Arm had played the two days prior at the BCHL Bauer Showcase, and Coquitlam was in their third game in four days. Justin Wilson had the lone goal for Salmon Arm, while Coquitlam was paced by Regan Kimens who had a pair of assists. Ethan Langenegger was the second star of the game for Salmon Arm stopping 32 of 34 shots. Streak wise, Salmon Arm has players in all of the three main categories. Nick Unruh and Matthew Verboon both lead the league with goals in four straight games. Darren Rizzolo is third for assists with helpers in three straight. Points wise, John Little leads the league with a 12 straight games recording a point and Matthew Verboon is right behind going 10 games in a row with at least a point. It’s a log jam in the Interior Division for fourth to sixth place. Vernon leads the group with 54 points, while Salmon Arm and West Kelowna are right on their tail with 53 points each. Salmon Arm has a game in hand over both teams. A win or OT loss for Salmon Arm would move them to fourth place, while a straight loss would drop them to sixth. Prior to the Christmas break, Coquitlam had an eight point lead over the Langley Rivermen, but that has now been reduced to just two points. The Express are unable to catch Chilliwack for first in the division, and likely won’t catch Prince George so they’ll be battling for positioning with the Rivermen. Silverbacks: With so many players still out of the lineup, Matthew Verboon and John Little will need to continue their magic together. Since returning from the World Juniors, Matthew Verboon has 16 points in 10 game and has a newfound confidence that not only creates points, but also leads to other teams taking penalties trying to slow him down. John Little’s 12 game point streak is nearing the second best streak this season. Three players have scored points in 13 straight, while Ryan Brushett of the Powell River Kings had a 17 game streak end on January 12th. Express: Acquired at the trade deadline, Ty Westgard hasn’t been producing at the same rate as when he played for Surrey (1.31 points per game) but still has ten points in ten games for Coquitlam. He doesn’t have the same workload as he did in Surrey while should help him as the season rolls into the post season. Another former Eagle, Chase Danol is having a career year. In 47 games this season he already has more goals (21) than he had points (19) last year. He’s on a two game point drought and hasn’t gone three games without a point since the middle of December.